Videos have moved beyond the world of entertainment to become one of the most direct and open means of sharing information in a wide range of fields. Today, using videos, teachers give more interesting lectures; firms and professionals offer their services in a more attractive way; training sessions are more visual and hopefully more dynamic for employees; and influencers attract more YouTube followers. However, videos are also used for increasingly complex and delicate purposes, for example as visual evidence in court cases and to expose the social and linguistic disadvantages of minority groups. The careless translation of videos can result in the alteration of oral evidence, leading to negative legal consequences for parties involved in legal proceedings. In such cases, the misrepresentation of an immigrant or indigenous individual as having low second-language proficiency might impede his or her access to the necessary interpreter support during a legal proceeding or bureaucratic procedure. In this talk I will differentiate between the criteria applicable to the subtitling of entertainment videos and videos used for legal and social criticism purposes. Angélica Ramírez received her B.A. 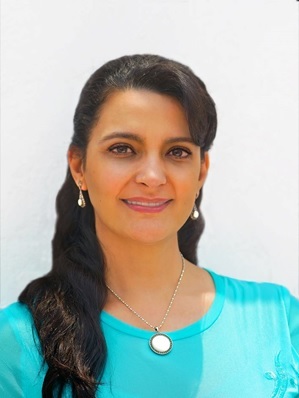 in English Literature from Universidad Nacional Autónoma de México (UNAM), her Postgraduate Certificate in Translation from El Colegio de México (COLMEX), and her Ph.D. in Translation Studies from Universidad de Alicante. She is a translator specializing in the subtitling and dubbing of English and French television programs for Mexican and Latin American audiences. She is also a professor in the undergraduate translation program at Universidad Intercontinental and the Certificate in Translation program at Universidad de Guanajuato. She is a co-founder of the first postgraduate certificate in audiovisual translation in Mexico at Universidad Anáhuac, where she teaches subtitling and translation theories applied to audiovisual translation.